2017 is expected to be great year for OTA – Online Travel Agencies. OTA stands for online travel agency. A travel agency, which operates and provide the services online. OTA covers a range of different types of services which it provides to global clients including flight reservation, hotel reservation, car reservation, holiday packages and other travel related services. 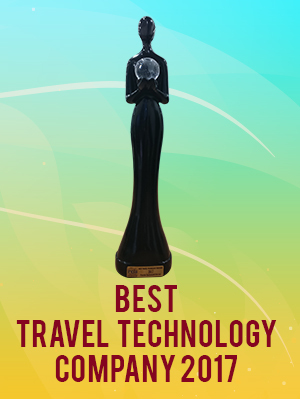 There has been a massive growth in online travel business and that’s why most travel companies have adopted the OTA business model and going for travel portal development for their companies. Travel agencies are contracting travel technology companies to build and set a robust OTA platform. Out of all the travel related services, hotel reservation creates a key component in terms of volume and thus hotel reservation system has become the most important aspect of OTA. It is absolutely convenient due to its 24-hour availability, global reach, great room inventories and pricing associated with it. End users can search hotels for any city worldwide, find out availability and pricing. They can also view the hotel images, videos and 3D maps to reach there. After selecting the hotels, users can make the payment through credit card and get the instant confirmation in terms of vouchers. Thanks to the rise of travel technologies, mobile apps and global reach of internet. The rise of online hotel reservation systems, is not a threat to traditional travel business, but an important opportunity to be taken advantage of. Travel agencies can target more customers round o clock and provide term better services with any human interface. This also creates a better customer experience and thus more business for OTAs. For most OTAs, the best choice for making a hotel reservation system is with several hotel APIs / hotel XML to gain the best possible inventory and better pricing. An integrated and fully functional hotel reservation system reduces the additional cost support team and gives following sustainable advantages. 1. 24×7 availability, increased sales and better client satisfaction. 2. Hotel reservation system manages from displaying hotels to voucher generation online and thus saves a lot of efforts. 3. Hotel reservation system manages the complete user data on the backend with all the booking records, markup and statements. 4. Separate markup can be managed on B2C and B2B, both the modules. 5. Marketing tools such as email newsletters and promotional discounts help in building bigger client base. 6. Better search and booking experience for end users. Author is a travel technology expert and has been involved in several travel portal development projects.